Tokyo Rose has found a new home at the Pentagon… Cass Sunstein, is that you? Everyone watches as the first action of a tyrannical government during a conflict with their people unfolds is the shutting down of social media and the seizure of the airwaves. But Americans believe it will never happen here. That is a fantastical delusion that is deadly. 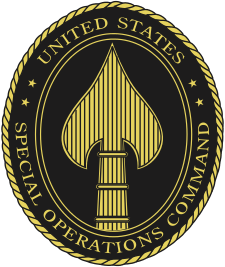 Enter the United States Special Operations Command (USSOCOM), the organization that oversees America’s elite special forces. They are quietly seeking equipment to do just that in targeted theaters. Right now, they claim it is for foreign operations, but it could just as easily (and more likely) be used on our own soil. If you want to take over a nation, then first take over its airwaves. Broadcast your messages and interdict the enemy’s ability to broadcast theirs. When the U.S. attacked Iraq in 1991, or NATO bombed Serbia in 1999, among the first targets destroyed were TV and radio stations. When there is a military coup in Africa, the first buildings the rebels usually grab are the radio and TV studios. So it is illuminating that the United States Special Operations Command (USSOCOM), the organization that oversees America’s elite special forces, is quietly searching for equipment that will effectively give it control over every FM and AM radio station in an area. The short, innocuous-sounding announcement on the Federal Business Opportunities site states that SOCOM seeks vendors to provide “a radio broadcast system capable of searching for and acquiring every AM and FM radio station in a specific area and then broadcasting a message(s) in the target area on all acquired AM and FM radio station frequencies.” SOCOM wants equipment that is both lightweight and sophisticated enough to detect and broadcast over multiple frequencies simultaneously. And SOCOM wants it fast. The equipment must be at least Technology Readiness Level 8, a Pentagon measure of technological maturity that means that it is fully developed, tested and ready for use. This is what the Pentagon now calls Military Information Support Operations, or MISO. This is a far less sinister name for what the rest of us call Psychological Operations, or Psyops. that subtle form of warfare that uses carefully tailored information — truthful or not — to change foreign hearts and minds in a way that furthers U.S. interests. Getting the creeps yet? Feel that trickle down your spine? That is big government and the military taking spying on each of us to a whole new level – control of free speech and military oversight. This whole Pentagon move is being touted as being possibly used by FEMA (I’m shocked, shocked I tell you!). Supposedly for a crisis such as Katrina — more likely civil unrest. They also want control of your phone and to message you concerning events. This is already occurring as I found out during my first storm in Oklahoma, where I got an alert on it at 1 AM from the Feds. Mobile phone ‘takeover’ technology will be in the SOCOM procurement pipeline as we head down this blind despotic alley. Ask yourself, what is it these leaders think is on the horizon? Whatever it is, can’t be good news for Americans.